Imagine calling a hammock on the beach in Thailand or a cafe in Budapest your “office”. It might be the ultimate dream - traveling the world for months or years on end. Don’t think that traveling has to be limited to your company vacation days! Many world travelers have been fulfilling their goal of exploring new places while also having a job that allows you to travel. With the right amount of preparation, you too can make a living while also jetsetting to new locations around the world. Here are a few ways to make money on the road (or on a plane or boat)! 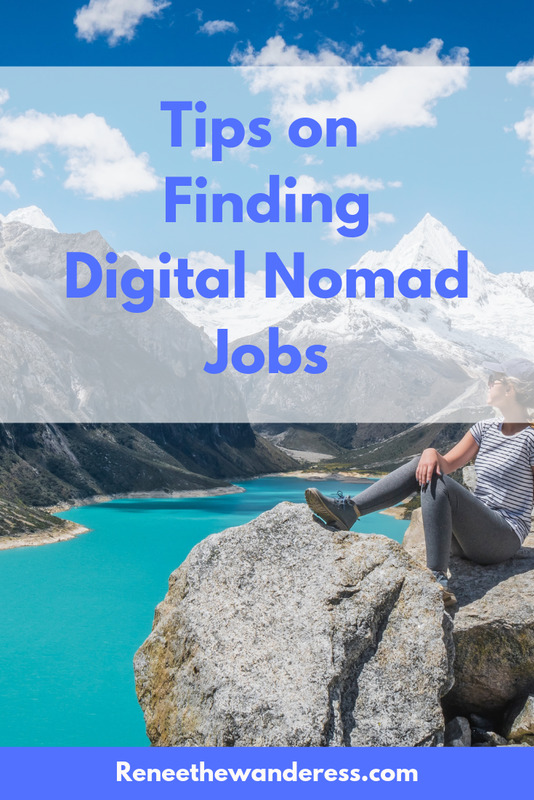 Having the right skillset to land a digital nomad job may be tricky, but not impossible. The internet is scattered with thousands of ways to make money online, and some are better than others. But with a strong work ethic and dedication, most travelers can earn enough to fund their experiences. When choosing a remote lifestyle, remember the following tips. Your previous work experience greatly increases your chances of maintaining consistent and well-paid work. Finding entry level work abroad and online is not impossible, but think of how many other people you might be competing against. Utilize what makes you different than others! If you are set on starting on a new career path, realize that changing to a new line of work takes time and dedication. A big paycheck doesn’t happen overnight! Take each opportunity that is given to you. Having the freedom to travel and work remotely might mean at first that you need to work in different timezones, for bosses you don’t really like, or for less pay than what you are used to making. The more opportunities you take, the more you can grow your portfolio or resume to allow you to be pickier in the future. Have a little (or a lotta) something in savings. Remote work may come in waves, and there might be times when you aren’t working everyday. Having some extra money will come in handy when projects or work slows down. You don’t want to be stuck having to choose between a roof over your head or food in your belly! There are many potential projects waiting for you online, but filtering to find something suitable and financially rewarding can take time. If you know where to look, then you’ll have an entire world of possible job postings at your fingertips! Here are a few websites to help you find the right opportunity for your skills. Upwork is one of the largest sources for finding remote work. While this is primarily a remote job site, every type of work imaginable can be listed on Upwork. You’ll find large companies, mid-size firms, and even individual people searching for freelance employees for help. 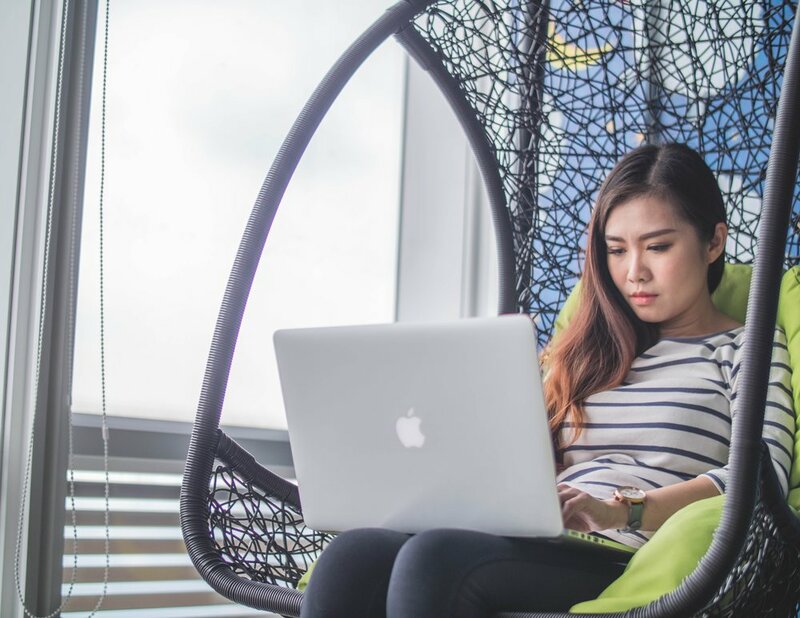 Whether your’e a graphic designer, professional lawyer, or language translator, Upwork will probably have a listing that fits your profession. Jobs can be one-off tasks, short-term projects lasting several weeks or months, or even full blown long-term contract work. Hundreds of jobs are added daily, and you’ll be able to filter by experience level, budget, location and even hours per week to find the perfect opportunity. While Upwork is free to join and browse, it does take a percentage of the money you earn from projects. Flexjobs is another website focused on finding work, and it caters specifically to remote workers. The main perk of Flexjobs is that every job posting is carefully screened by their team, weeding out any scams and leaving high quality jobs. There are over 60 different categories of work to choose from! You can filter to show jobs that are “100% telecommuting”, although most of the work tends to be IT or tech focused. You’ll need to pay a small monthly fee to use Flexjobs, but the benefit in having a professional team curate top of the line jobs may justify the subscription. They do allow you to see what kinds of job postings they have for free before you join. Fiverr is a great option if you’re looking to make quick cash. Individuals and companies alike post small tasks that can be completed quickly albeit fairly cheaply. Starting at $5 a gig, you can grow your portfolio and work history by picking up small jobs on the go. The site caters to people with certain skills, whether its designing a logo, writing an article, or even doing a voice-over for a video clip. Keep in mind that you might need to work on multiple tasks to make more than just spendable pocket change. Also note that although the name is “Fiverr”, the site now allows gigs for more than $5 which allows you to make a bit more money. Facebook also works wonders when it comes to finding remote work and things like freelance writing gigs. You might have to do a little digging, but there are many Facebook Groups and Pages that can beneficially supplement your job search. 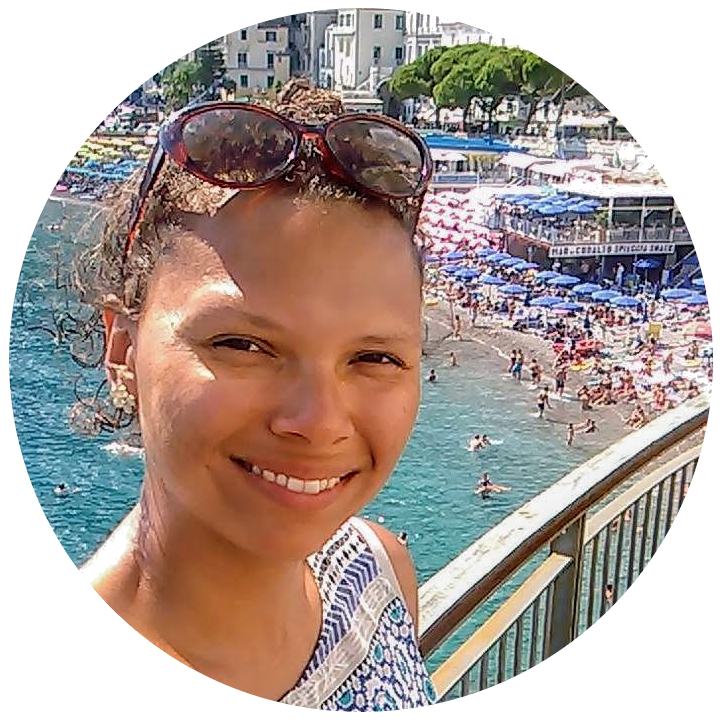 Try finding a Facebook job board focused on international / remote jobs, because you never know how companies or individual users search for future employees! Or think about joining specific groups that cater to your industry (ie: Freelance Engineers or International Marketing Consultants) that connect you with other likeminded users. If traveling is your passion, then why not try and make an income from travel itself? There are several ways to turn your worldly experiences into income, even if it’s just to fund more traveling! If you are already documenting your journey with a travel blog, then you’re taking the first steps to lay the foundation for making some extra cash. Not only are travel blogs a great way to let your friends and family see what you’ve been up to, but there are potential opportunities to monetize down the line. Once you have quality content and a solid brand, you’ll be able to trade your experience as a traveler for money. It may take a while to start earning money from your blog, but it can be a fun way to earn some extra dollars each month, and it almost doesn’t seem like work. Taking pictures of your travels isn’t just for family slideshows anymore! Great photographers can turn their passion into money with the right photos. Whether you’re shooting landscape, people, or food on your travels, look into becoming a stock photo contributor. Sites like Shutterstock, Getty and Alamy will give you a royalty when a user downloads your photo from their site. It’s best to do research when looking into stock photo agencies, as each company handles the photo copyrights differently. Language schools have become increasingly popular over the last few decades, and many have fortunately moved their services online! Being a native English speaker definitely has its advantages when finding a teaching job, but there are opportunities to share whatever native language you speak. VIPKID is an organization that focuses on teaching English to Chinese children ages 4-12. Using VIPKID’s online software, you’ll teach private lessons using provided course materials to help children develop their language skills. Once you pass an interview, you’ll set your own schedule with the opportunity to earn over $20/hour. Verbling is another website where you can teach and learn any language! If you have previous teaching experience, you can create your own freelance profile to attract eager students. Since you can set your own prices and availability, this is a great opportunity to make money from wherever you are located in the world. If you are just starting out trying to teach English, then think about working with Cambly. You don’t need any previous teaching experience, and all of the students have some basic level of English. There isn’t a provided curriculum course you need to follow, since Cambly relies more on conversations and informal chats between students and teachers. You can still set your own hours, and will be paid by the minute. Working remotely from around the world can be a dream come true. Becoming untied from the corporate 9am-5pm desk job is liberating, and having the flexibility to become location independent can be the perfect way of life. Being a digital nomad is hard work, but to live in new cities, with new cultures and new people is a once in a lifetime opportunity. Did you learn something from this article? I’d appreciate if you pin it!